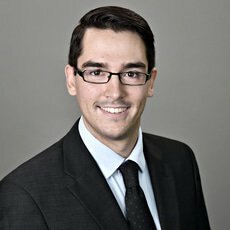 Daniel Hnatchuk’s practice focuses on intellectual property litigation, and regularly advises clients on patent, trademark, copyright and industrial design matters. Having worked with Canadian and international clients of all sizes and spanning a broad range of industries, including biotechnology, agrifood, chemical production and processing, and consumer goods and services, Daniel leverages his background in biochemistry to his clients’ advantage. He has found success in his appearances before the Federal Court of Canada and has been involved in high-stakes matters at both the trial and appeal level. Daniel also advises clients on strategies to help grow and protect their IP portfolios, and in respect of marketing and advertising issues.